While planning your own wedding can be incredibly frustrating at times, it can also be very rewarding. Whether you are attempting to keep your costs down or just love the idea of doing everything yourself to get it just right, there are a few different things to keep in mind while self wedding planning. 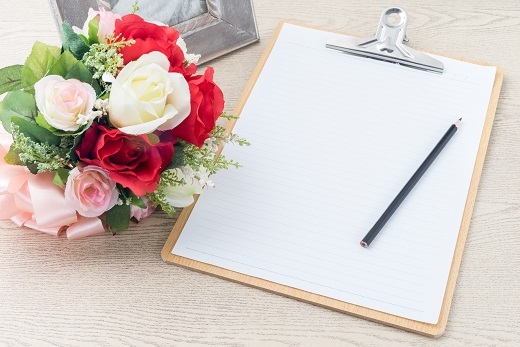 If you are ready to tackle your wedding planning alone, here are 3 important tips you should keep in mind throughout the process. One of the most important aspects of self wedding planning is creating a budget you are comfortable with and sticking to it as closely as possible. While a hired wedding planner will likely be able to save you money, the costs of hiring them may outweigh the value. Don’t be afraid to shop around to find the best deals that allow you to save money and stick to your predetermined budget. It is important to sit down with your fiancé and determine what your most important priorities are for your special day. For instance, do you care more about the decorations or the food that will be available at the wedding reception? Knowing these priorities allows you to focus on what really matters and divert your money into the proper places throughout the self wedding planning process. Two heads are better than one and having the help of your friends and family throughout the wedding planning process will not only reduce stress but provide valuable insight you may not have thought of. Don’t be afraid to ask for help when you need it. Your fiancé, family or friends will often be more than ready to help fill in some of the gaps you need help will.